WHEN Gustav Fristensky moved from his home in the village of Kamhajek to Brno in 1898, he was advised by his uncle to enter the SOKOL group in order to maintain his exercise program. While working as a butcher's apprentice, he trained twice a week and achieved remarkable results in track and field, wrestling and weight lifting. Even though Gustav would later transfer to the Club Hellas –where athletes trained in wrestling and weight lifting –he remained very fond of the SOKOL mission for the rest of his life, championing its principles of healthy body and healthy mind. He donated a substantial amount of money from his winnings to the SOKOL organization in Czechoslovakia and America as well as some of his trophies and medals. Sokol –from the Slavic and Czech word meaning falcon –is a bird who, by his swiftness and energy, symbolizes the Spartan life –active, vigorous, strenuous –which is the ideal of Sokol programs. The Sokol organization is not only a gymnastic club, rather, it aspires to improve moral values through a variety of educational and social activities. Its program is a combination of historical, educational and physical activities promoting the ideal of a sound mind in a healthy body. Founded in Prague in 1962 by Dr. Miroslav Tyrs, a professor at Charles University in Prague and Jindrich Fuegner, a Prague businessman in Prague in 1862, at the time when the Czech nation was awakening from a period of more than 200 years of repression by the ruling Habsburgs. The Sokol movement was very unique in that it was designed, not only for the few gifted athletes, but for everyone from young to old regardless of their physical abilities. The positive attitudes of Sokol's goals of a healthy mind in a healthy body were specifically designed to develop an individual's personal health and physical condition in order to maintain ones health throughout their lifetime. The Sokol movement started a national program that attempted to reunite the Czech nation, growing dramatically and prospering. It has always played an important role in the early affairs of the young Czech nation. The idea of physical training centers was not a new. 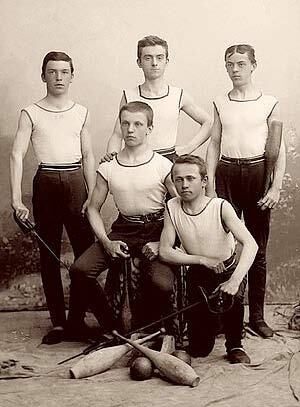 The Sokol movement consciously traced its roots in physical education to the athletes and warriors of Ancient Greece. More directly, Sokol was influenced by the German Turnverein – mass, nation-minded gymnastics societies founded in 1811 by Friedrich Ludwig Jahn. The Prague Sokol initially drew its leaders from the ranks of politicians, members of the petite bourgeoisie and working classes. The first president was Jindřich Fuegner, an ethnic German who was a member of the Czech cause. Most founders were also members of the Young Czech party. The authorities of Austria-Hungary continually kept a close eye on the movement, however, despite this, the reputation and prestige of the Sokol continued to grow. The Sokol members soon came to be recognized by most as the "Czech National Army". The movement was so influential that it spread through Central and Eastern Europe. The biggest Sokol's event was called Slet meaning a "gathering of birds." 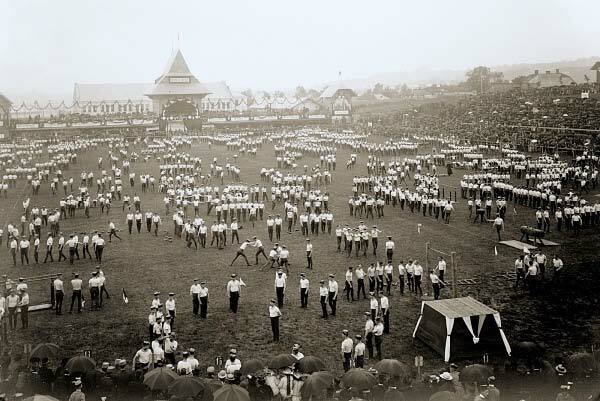 Attended by all of Sokols' members, Slet was a large physical fitness competition and exposition festival organized every six years. 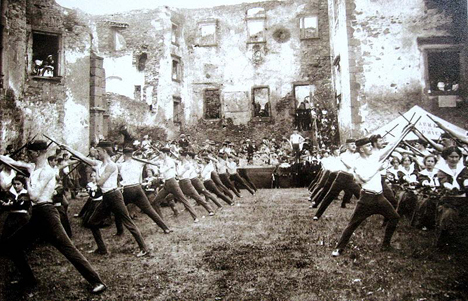 The first Sokol Slet was held in 1882 in Prague to celebrate the 20th anniversary of the founding of the organization. By the beginning of World War I, in 1915 the Sokols were banned. Many members were active in persuading Czechs to defect from the Austro- Hungarian army to the Russian side. 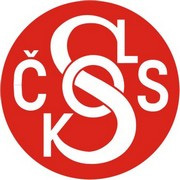 Sokol members also helped create the Czechoslovak Legions and local patrols and were instrumental in the creation of Czechoslovakia in October 1918. 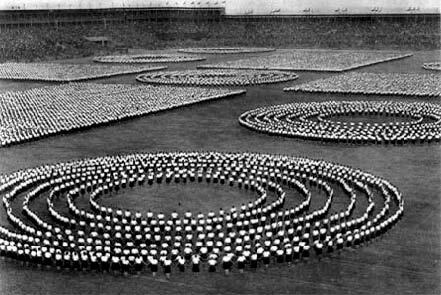 The Sokol flourished in the early interwar period and by 1930 had 630,000 members. The Sokols held one last Slet on the eve before the Munich Agreement of 1938 and were later brutally suppressed and banned during the Nazi occupation of Bohemia and Moravia. After World War II, a final Slet was held in 1948 before they were once again suppressed, this time by the Communists. The Sokols reappeared briefly during the Prague Spring of 1968. After years of hibernation, Sokol was revived for the fourth time in 1990 and following the fall of Communism, a Slet was held in 1994 with 23,000 Sokols participating. Presently, the organization focuses on physical training, gymnastics and athletic activities. Its popularity is, however, well below pre-war levels and a large percentage of members are of older age with memories of the pre- 1948 Sokol organization. Members of Sokol who emigrated from Czechoslovakia set up small a Sokol group abroad, which still continues today. For a variety of reasons, this Sokol migration began even before Czechoslovakia became a nation in 1918 and as a result of the World Wars and the Communist suppression. Bohemian, Moravian, and Slovak immigrants and Czech-American citizens who were raised on the Sokol's principals started the American Sokol organization in St. Louis Missouri in 1865, only three years after the first Prague Sokol was established. Units quickly formed and by 1878, the United States had 13 Sokol chapters. 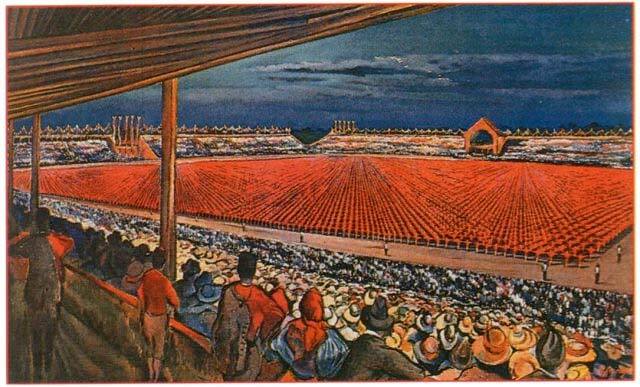 By 1937, American Sokol membership counted nearly 20,000 adults in areas such as New York City, New Jersey, Pennsylvania, Chicago, Cleveland, Iowa, Minnesota, Nebraska, Oklahoma, St. Louis, Texas and parts of Canada. Gustav and Frantisek Fristensky during their 1913/14 tour of the USA used to wrestle in the Czech Sokol halls around the country. Their wives filled in between the wrestling bouts by singing Czech folks and national songs. The brothers many times donated a portion of the event's proceeds to the Sokol's charity. Within a few years Sokol units were formed in Chicago, New York, Baltimore, Cleveland, Milwaukee, Detroit, Cedar Rapids, Omaha, etc. Since then they have expanded from the Atlantic to the Pacific coast and from Canada to the Rio Grande. This was the age of heavy immigration. The newcomers imbued with the spirit of reawakening in the old homeland, brought with them the fire, ideals and culture of a new age. As the American Sokol grew, so did the participation at the 1893 Slet. Well into its second century, American Sokol remains an organization dedicated to the physical, mental, and cultural advancement of its members, the youth and adults that attend its programs, and the local communities it serves. The mission of the American Sokol is to provide fitness and community for individuals and families through physical, educational, cultural and social programs. There are currently 35 American Sokol units, or clubs, operating in North America. For 145 years in the United States, American Sokol has been shaping the lives of Olympians, Diplomats, Artists, Athletes, and most importantly, the families in the communities in which they serve.